JICE partnered with Ministry of Justice (MOJ) to provide an opportunity for the 14 JDS Fellows in the legal and judicial sector to increase an understanding of the role of a well-established democratic regime governed by the rule of law and to develop further cooperative relationship with the concerned Japanese authorities. 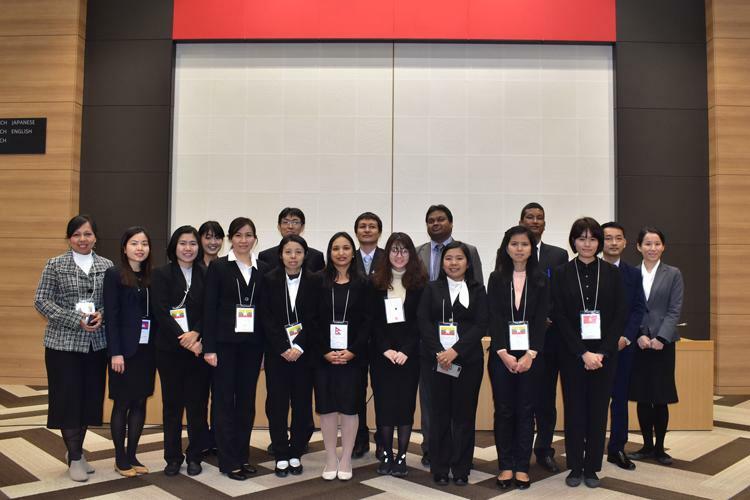 It was also aimed to facilitate technical cooperation in the legal and judicial sector between Japan and the Asian countries represented by the Fellows. This program was structured into two parts. 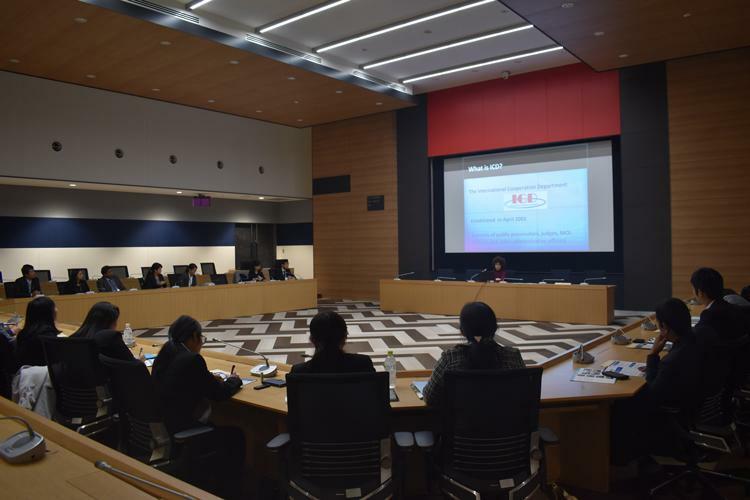 In the morning session, the participating Fellows were briefed about the organizational structure and duties of MOJ as well as the outliner of the 14th United Nations Congress on Crime Prevention and Criminal Justice (“the Kyoto Congress”), one of the biggest conference in the field of justice to be held in Kyoto in April 2020. In the afternoon session, the Fellows visited International Justice Center of MOJ in Akishima, a suburban city in the west of Tokyo, to receive lectures on a wide range of issues regarding Japan’s technical assistance in legal and judicial sector towards Asian countries; judicial system of Japan; and the outline of United Nations Asia and Far East Institute (UNAFEI). 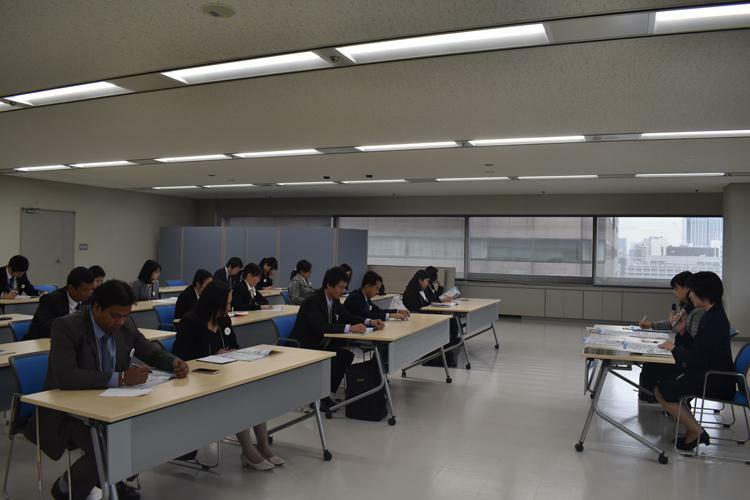 All Fellows listened eagerly to the lectures and asked many questions such as the issues of the Lay Judge System in Japan and the role of legal experts dispatched for technical cooperation in their countries. After the lectures, the participants were invited to a guided tour of the facility. We felt the enthusiasm of the JDS Fellows to tackle with the challenges faced by their countries through their positive attitude such as taking notes of the lectures and trying to exchange their opinions actively with the MOJ officials. Following are some of the feedback from the participants. Looking forward, JICE will be committed to promote sectoral cooperation at the international level between JDS Fellows and the relevant Japanese Government officials as in this program.